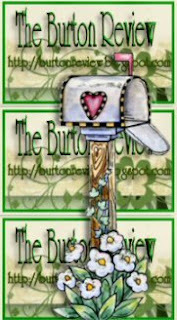 Mailbox Monday~ A Royal Mailbox, My Best Mix! "It is 1540, and Matthew Shardlake, the lawyer renowned as "the sharpest hunchback in the courts of England," is pressed to help a friend’s young niece who is charged with murder. Despite threats of torture and death by the rack, the girl is inexplicably silent. Shardlake is about to lose her case when he is suddenly granted a reprieve—one that will ensnare him in the dangerous schemes of Thomas Cromwell, Henry VIII’s feared vicar-general. In exchange for two more weeks to investigate the murder, Shardlake accepts Cromwell’s dangerous assignment to find a lost cache of "dark fire," a legendary weapon of mass destruction. Cromwell, out of favor since Henry’s disastrous marriage to Anne of Cleves, is relying on Shardlake to save his position at court, which is rife with treasonous conspiracies." Frenchman's Creek by Daphne du Maurier (reprint 2009) "The electrifying tale of love and indecency on the high seas. Daphne du Maurier's Frenchman's Creek is the scandalous tale of one woman's will to seize adventure by the horns and become the fugitive of her own fate. Jaded by frivolous Restoration London and the numbing civility of its hollow members, Lady Dona St. Columb revolts against polite society. She rides into the countryside, guided only by her restlessness and the indomitable longing for escape. But when chance leads her to meet a French pirate hidden within Cornwall's shadowy forests, Dona discovers that her passions and thirst for adventure have never been more aroused. Together, they embark upon a quest rife with death and glory, and one which bestows upon Dona the ultimate choice: sacrifice her lover to certain destruction or gamble away her own to save him." The Mists of Avalon by Marion Zimmer Bradley (Pub. 1982) 912 pages!! "Here is the magical legend of King Arthur, vividly retold through the eyes and lives of the women who wielded power from behind the throne. A spellbinding novel, an extraordinary literary achievement." "Watching the Tree Limbs" by Mary E. Demuth The author is visiting my library in August & I am hoping to bring you a video of her lecture. "In this debut faith-based novel, DeMuth transports readers to the hot East Texas town that is nine-year-old Mara's home. Amid the red dirt and pecan trees, Mara struggles to find her way through a painful and mysterious family situation. Who were her parents? Is her aunt Elma really her aunt-and does Elma really have a tumor? What will happen to her if her aunt dies? The pain in Mara's life multiplies when she meets General, the teenage neighbor who repeatedly rapes her, threatening her life if she tells anyone. DeMuth captures the horrific situation-from Mara's inability to keep her body from shaking to her determination to watch the tree limbs to keep her mind off of what is going on-while providing hope of redemption and healing. Her characters are expertly drawn, and encompass meanness, evil, great kindness and the confusion of generally good people who don't know how to handle what life has given them. Christian themes are woven throughout as a natural expression of the characters and situation. Readers may be surprised at the dark subject matter, but this book will appeal to many readers both as a thoughtful, powerful reflection on a difficult topic and as a compelling story." 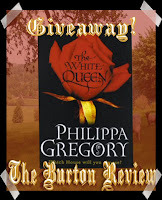 The winner will receive an unread copy of the ARC (shown) of The White Queen, and it will be a quick giveaway in August, so stay tuned or you may miss it! "The first in a stunning new series, The Cousins War, is set amid the tumult and intrigue of The War of the Roses. Internationally bestselling author Philippa Gregory brings this family drama to colourful life through its women, beginning with the story of Elizabeth Woodville, the White QueenThe White Queen tells the story of a common woman who ascends to royalty by virtue of her beauty, a woman who rises to the demands of her position and fights tenaciously for the success of her family, a woman whose two sons become the central figures in a mystery that has confounded historians for centuries: the Princes in the Tower whose fate remains unknown to this day. From her uniquely qualified perspective, Philippa Gregory explores the most famous unsolved mystery, informed by impeccable research and framed by her inimitable storytelling skills." This giveaway will be coming up.. I just started reading this & I will begin the giveaway with my review when it posts, so stay tuned in the next few weeks for this one! "As war and treachery loom, an ambitious man’s mission threatens to topple two dazzling realms and their formidable rulers: Catherine de Medici, the Dark Queen, and Ariane, the Lady of Faire Isle.It is 1588, and as the Spanish Armada prepares to besiege England, Paris balances on the brink of revolution. To maintain her grip on the throne and on the dark magic that has become her obsession, Catherine de Medici turns to Louis Xavier, a ruthless corsair who was schooled in the dark arts and has mastered piracy along the Spanish main. But Louis’s basest instincts are held in check by the kindness of Lady Jane Danvers, a British exile whose innate sense of honor is but one facet of her complex and passionate nature.On Faire Isle, Ariane Cheney, unaware of the escalating threat from the Dark Queen, struggles with the task of protecting the daughters of the earth and their vast store of ancient magical wisdom. Weak and desperate for an advantage, the ailing Catherine makes a devil’s bargain that will cast a shadow over all." Was this an awesome Mailbox Week or what?! Friday Fill-In- Guess the King? Mailbox Monday~ Norah Lofts & more Historicals!